EcoTreasures experienced local guide will immerse you into Sydney’s natural environment as you explore a calm estuary with the Ku-ring-gai Chase National Park "The Basin". Very suitable for first time and experienced paddlers. 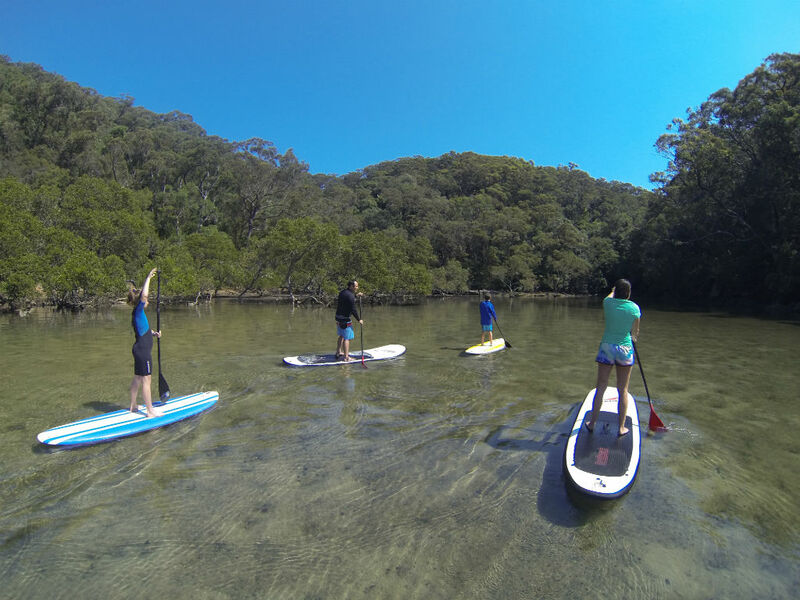 Search for native wildlife while you glide along the calm waters of the estuary on your Stand Up Paddle Board. view local birds species flying overhead. Catch the breath taking Fantasea ferry 20 min ride across the Pittwater waterway from Palm Beach Wharf to the Basin campground. Ferry cost paid on board is Adult $7.70pp, Child $3.80 each way. National Park landing fee is $3pp paid on arrival. Water taxi also available $50 each way. hat, sunscreen, swimming gear, drink bottle and a towel. Mandatory: Participants must be able to swim 50m free style unassisted to join the paddle board tour. (excluding black out dates). Booking deadline is 48 hours before a tour.